Colorado author/actor Marrielle Monte earned her BFA in Theatre and Dance from the University of The Arts in Philadelphia and studied the Science of Well Being at Yale. She is a happy activist and an affirmation aficionado. Her passion for spreading happiness comes from several years of teaching hundreds of elementary school kids a happy dance on the International Day of Happiness. Marrielle has performed as a dancer and singer around the world, being featured on Broadway, and making people laugh at The Improv and The Comedy Store in Los Angeles. Marrielle lives in Denver where she works as an actor, owns a home-based business, and is an active volunteer in her community. 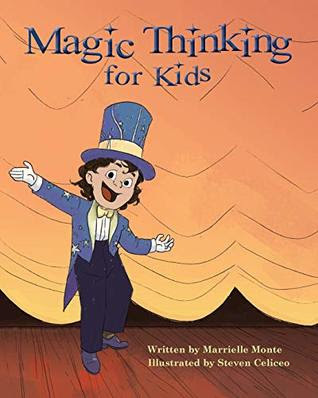 Marrielle’s debut book, wonderfully illustrated by California artist Steven Celiceo, is a joyous book of affirmations – teaching children how their thoughts and attitude can affect the way they respond to the world and to situations and to other people. Some of the illustrated affirmations include choosing to be happy, a good thinker, a caring friend, a good decision maker, strong inside and out, staying calm, being brave, always trying your best, loving to learn, liking yourself, being confident, helpful, playful, and loving life. Positive affirmations so infectious in thought and images that children will embrace this book as a favorite. Marrielle closes her book with a section for parents on the power of introducing positive affirmations early for children - and how to implement that concept. Truly a fine and very important book – for us all!